DGARAY Magazine is an international publication founded on April 15th, 2015 to inspire the world. A creative alliance composed of music, fashion, model life, art, photography, cinematography, food, entrepreneurship, and empowering life stories to revolutionize our thinking and reassess our values in today’s social media and high-paced technological world. We believe that every individual has a hidden gem inside and only by tapping into our own individuality can we bring to light our gifts. The mission is to provide a platform where creative professionals will be featured to inspire, empower, and grow into modern day role models that celebrate originality. There are many magazines that send conflicting and misguided messages that make readers doubt and reject their own beauty by trying to live up to a false notion of beauty. What’s your definition of beauty? 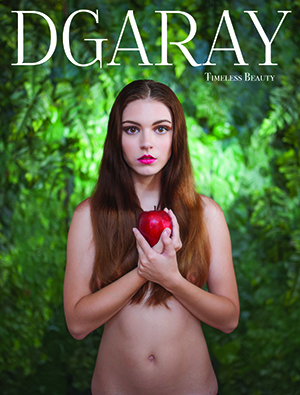 DGARAY’s Magazine’s first EVER print issue is here! The Royal Issue is full of life, art, beauty, and music for your soul to dance to. A platform for creative professionals to inspire and be inspired. The Royal Issue Limited Edition is currently digitally available. Pre-order your print copy and be the first 50 customers to receive an official signed copy by a DGARAY featured artist, and we’ll personalize a thank you message from the DGARAY staff. The deadline to pre-order your Limited Edition will be May 25th, 2016. Prices may be subject to change & increase after the deadline. Magazines will be shipped 7 days after the May 25th deadline. An international 11 X 14.5 publication with 140 pages of art, creativity, and inspiration. No shipping fee & receive 4.00 off. This is for customers that will pick up their copies from DGARAY in Colorado & still save 4.00 for being one of the 1st 50.00 customers.